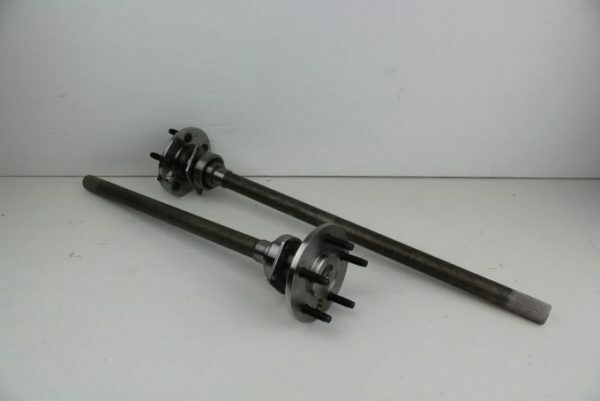 This kit supplies you with all parts and hardware needed to completely convert your vehicle from the existing OE suspension to the late model rack and pinion that will improve handling, braking, and solve needed clearance issues associated with installing the larger V8 engines into these shock towered vehicles. The main features of this coilover spring package is the ability to “mechanically” adjust the ride height/stance of your car in a matter of minutes! The corner control it gives, along with the much needed engine bay clearance, makes it our top seller. This kit can also be configured to allow the use of the “shockwave” air ride shocks. All that would be left for you to supply would be a disc brake master cylinder and an engine with the rear sump oil pan. 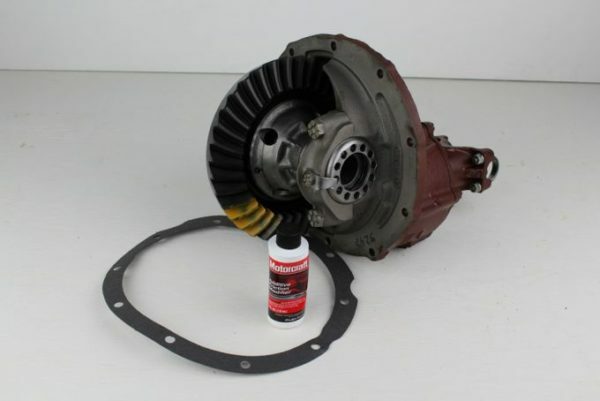 Everything else needed to finish and put your car back on the road is included with this conversion kit. At Rod & Custom, we use Autodesk CAD programs, both 2d and 3d/solid modeling. FEA (Finite Element Analysis) is also employed to assure our design is strong and safe. New crossmember and ride height adjustable upper coilover mounts along with engine mount stands for your engine choice. New 4-pc. complete upper and lower tubular A-arm set with hardware. New steel stock height MII spindles for stock height OR 2’’ drop available that will lower car 2 full inches over OE height. New complete 11’’ single piston OE brake kit w/stainless flex lines. Brake upgrades available. See related items. New manual rack and pinion with bushings and 2 new tie rod ends and mounting hardware. Optional power rack available. Complete engine mount set for small block (Ford or Chevy) 351W, 351C, 429-460, or FE (390, 427, 428) is included. New manual or power rack (your choice) with fittings, bushings, and bolts. 1’’ powder-coated sway bar with all mounting bracketry and end links with Prothane bushings and hardware. Prothane urethane anti-squeak super lube also included and it works! Left and right tower replacement panels. 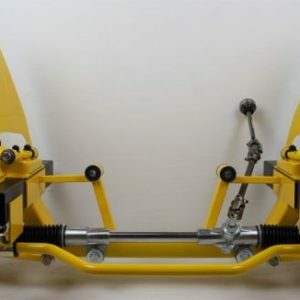 New steering hookup kit which includes the rack joint, column joint, and the rack to column shaft, along with the column modification kit for OE column users. QA1 coilover shocks and springs with grade 8 mounting hardware. It is fully adjustable for shock ride and the adjustable bracket system provides complete height control! Instructions, frame measurement sheet, and general installation DVD included with all kits along with preferential customer technical assistance if needed. Available for: 65-73 Mustangs, 67-70 Cougars, 62-69 Fairlanes, 66-69 Cyclones, 68-71 Torinos, 60-70 Falcons, Wagons, Rancheros, Convertibles and all Mavericks and Comets. Please note: All MII suspension designs require the use of the rear/double sump car style pan for these systems. Due to the ‘’front steer’’ design, this is required no matter the manufacturer. If you need help locating the correct pan, just ask because we probably have it on the shelf!